As a member of Friends of Acadia, you’re an integral part of our work to preserve and protect Acadia National Park and the surrounding communities. The best benefit of Friends of Acadia membership is the satisfaction of helping to preserve Acadia for current and future generations. 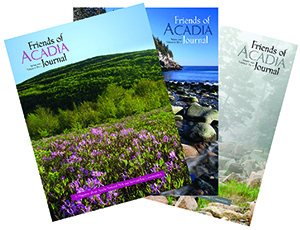 In addition, all members of Friends of Acadia receive a subscription to the Friends of Acadia Journal, published three times annually; a Friends of Acadia member decal; and invitations to annual events.